When looking for a new air- conditioner, we always looking to avoid the marketing gimmicks used by salesmen. We easily fall prey to catchy phrases used by marketers only to realize months down the line we didn't get what we paid for. Like most people, when searching for a new aircon we want something energy efficient. High utility bills in Singapore hinders us from enjoying what we want. The humid air increases the workload the air conditioner has to do in keeping the indoor air dry. This translates to high utility bills since the air conditioner is constantly running instead of saving energy. If you are looking for the ideal air conditioner that works best is Singapore, it is important that you select one that is designed for the Singapore weather. Here are seven reasons why the Mitsubishi Starmex is perfectly suited for the job. Older versions of air conditioners weren't optimized for Singapore's weather conditions. Over the years, scientist and meteorologist studied Singapore's climate and developed the Mitsubishi Starmex Air Conditioner using the findings. The air conditioner should be in sync with the weather to work optimally. 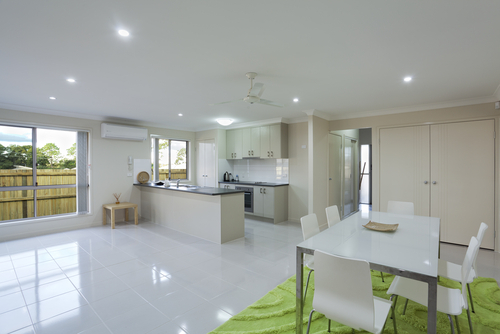 Air cooling features that are energy efficient help reduce the utility bills. Who isn't worried about having a high bill. Most of us are, but this doesn't mean that we shouldn't enjoy the cool, clean air. Fitted with energy efficient cooling system, this air conditioner will help you save tons of your hard earned cash. This is one key attribute that most buyers look for. While in the market for an air conditioner, we not only search for an affordable air conditioner but a durable. Air conditioner breakdown causes a lot of inconveniences. When trying to maintain a professional image at the work place you need equipment with little or no breakdown. Mitsubishi Starmex brand promises it users durability, and you will never regret the decision to try it out. The humidity and air conditioning settings are designed to balance out the room temperature. 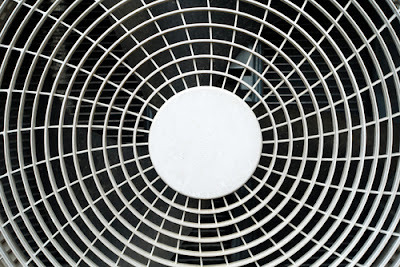 The constant humming sound produced by air conditioners irritate its users. These noises distract the person while in the living room, workplace or even while sleeping. 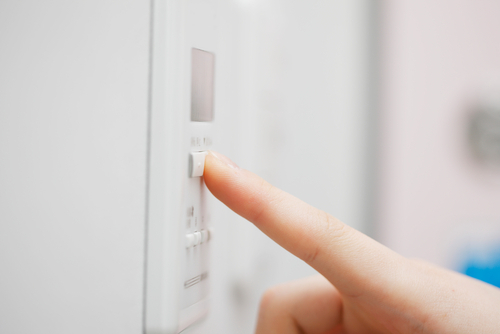 The nagging humming sound can push some users to turn completely off the air conditioner. It could be viewed as wastage of cash if you had spent a huge amount on the air conditioner. The Mitsubishi Starmex series of air conditioners run silently, and it would be difficult to note that one is even running. Isn't it cool to find a near silent air conditioner?. The air conditioner will remain silent while aging. A lot of air conditioners start off silent but as time goes by they start becoming noisy. Provided that it is regularly cleanly, you will hardly notice the air conditioner is running. The fan is designed to provide minimal air resistance thus ensuring that you have a silent running air conditioner. We are all worried about having well-balanced air. Regarding humidity and air cooling, we need an accurate air conditioning system. Mitsubishi Starmex is designed to meet perfectly the end users specifications. Accurate temperature control and dust filtering systems are designed to work with pinpoint accuracy. Singapore's weather is mostly humid, and when looking for a great weather conditioner one needs something that is accurate. High humidity could damage our furniture, rugs or even provide a conducive environment for bacteria growth. This air conditioner eliminates the chances pathogens in the air that you are breathing by reducing the humidity. You will note that those suffering from respiratory problems will start feeling better. Air conditioners with humidity control and cooling system help make rooms bearable. Better temperature control than older models makes newer air conditioner models our homes feel better. The precision by which these models correct the humidity levels, temperature and constant flow of air make them a must have. If you find yourself constantly complaining about your air conditioner, then its time you get a new one. With Mitsubishi Starmex aircon, your home will turn into the dream house you always wanted. Good aircon systems should run silently so as to ensure no one is bothered by the humming. Warrants assure us that if the air conditioner is damaged we can get a new one at zero cost. Bearing in mind that it is expensive always to purchase a new one, warrants are there to protect us. Always inquire with the dealer how long the warrant runs. Look if there are tricky loopholes with the warrant. In this case, the Mitsubishi Starmex comes with an easy direct warrant. There are no loopholes that might be used to disappoint you when looking for a settlement. The company prides itself in providing its clients with the best services and in the event of a breakdown they've got you covered. Great warrant covers show that the company cares and isn't all about making quick profits. When a problem arises with your aircon, you will have the best technicians there to help you with the problem. You will sleep better knowing that the company cares about your well being too. Warrants have and will always be tricky. Older aircon models used an R-22 type of refrigerant that was both carcinogenic and harmful to the environment. The government decided that it should be phased to ensure that the users don't develop health complications. Newer refrigerant compounds used in the R-410A cooling systems are both eco-friendly and won't damage your health. The government of Singapore passed legislature that use earlier models could cause health complications to its users and should be discarded. If you are looking for an aircon that won't affect your health, then the Mitsubishi Starmex is the best system in the market. You will enjoy having clean fresh air in your house while worrying less of the cooling chemicals used. Eco-friendliness can also be measured using the efficiency of the air conditioners. Good air conditioners shouldn't waste power with unnecessary cooling. Mitsubishi models are fitted with power regulators ensuring that they consume less.